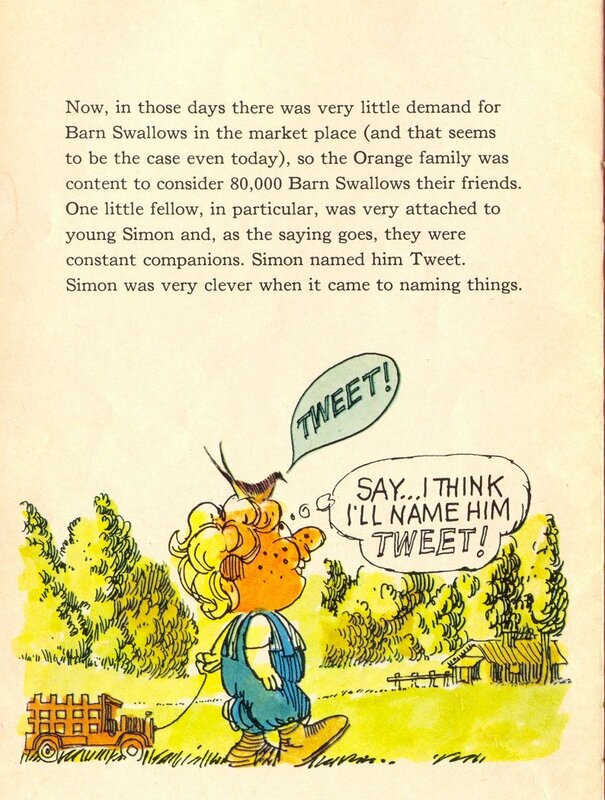 Now, in those days there was very little demand for Barn Swallows in the market place (and that seems to be the case even today), so the Orange family was content to consider 80,000 Barn Swallows their friends. One little fellow, in particular, was very attached to young Simon and, as the saying goes, they were constant companions. Simon named him Tweet. Simon was very clever when it came to naming things.